While there may be situations when it's better for a person to do something on their own, there are many instances when delegating a task is more efficient. If there is a task or duty that is done the same way day after day, there's a good chance that it can be delegated to someone else so that more time can be spent pursuing more productive endeavors. In addition to being more productive, a person can achieve more with proper delegation. Here at GoMentor.com, you can find coaches who offer online business coaching that can help make delegating tasks to other employees easier. Before showing how you can improve delegation skills, here are some basic tips for better delegation of duties. It's Important - For lower, middle and upper management positions, being able to delegate tasks efficiently is a very valuable skill - some would say a necessity. It's Easy - Delegating tasks - and following up to make sure they're completed - does not have to be a difficult task. There are ways to make it easier. It's Productive - Being able to delegate tasks to others means that a person can get more work done, fulfilling all of their responsibilities. Helpful Delegation - When a person could benefit from taking on new duties - from learning new skills for example - delegating duties to them may be smart. Necessary Delegation - Sometimes it's necessary to delegate tasks to someone just to clear up time for more valuable tasks and responsibilities. Good Idea Delegation - An employee who has a strong skill set for a particular task may be better suited to complete the work. In this case, delegation is a good idea. There are also times when delegation shouldn't happen. With big picture tasks that affect a company in the long term, higher management should always be involved. To know more about the different situations when delegation may or may not be recommended, business coaching may help. Delegation skills enable a manager to get more done by giving responsibilities and tasks to other people. Business coaching can help a person learn to delegate better, which can help them achieve more in their career. Learning to delegate tasks is important for many different reasons. This is why we offer online business coaching here at GoMentor.com. On GoMentor you can get online coaching with business coaches that specialize in methods to make delegating tasks easier. Learning when to delegate and when something is better done personally is one of the skills we teach. 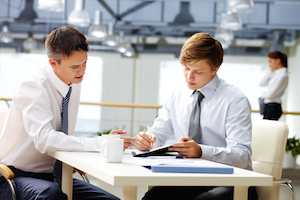 The business coaches on GoMentor also offer assistance with the other specifics of delegation skills. In order to get ahead and accomplish more goals, it is important to know when and how to have other people complete tasks. A coach can help with this process whether a person is already skilled at delegating or they have no experience with it at all. Just sign up to GoMentor 24/7 today and get professional business coaching regardless of time and place.